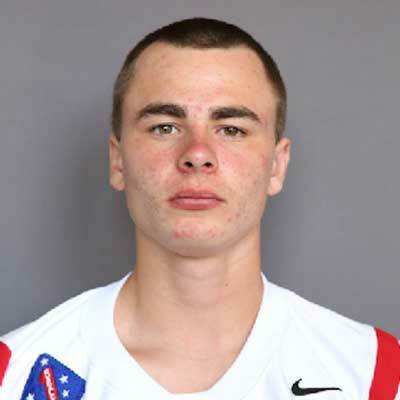 Last month quarterback JT Daniels of California High school powerhouse Mater Dei received his sixth scholarship offer, this one to play for the BYU Cougars. Daniels offer list is pretty impressive, with offers coming from ASU, Cal, Notre Dame, UCLA, and Washington. What makes it even more impressive is that Daniels is only a High School freshman (Class of 2019). Daniels preps at Mater Dei High School (Santa Ana, CA), where he completed 174 of 313 passes (.556) for 3042 yards and 33 touchdowns to only four interceptions in 2015. He also rushed for two more touchdowns and was named the MaxPreps Freshman Player of the Year. Mater Dei has a pretty good track record for developing quarterbacks, with alumni including Matt Leinart, Colt Brennan, Matt Barkley, and Max Wittek. Daniels is a national recruit but has not yet been rated by Rivals, Scout, or ESPN. In addition to scholarship offers from Arizona State, BYU, Cal, Notre Dame, UCLA, and Washington, Daniels is also being recruited by Michigan, Stanford, and USC. Prior to his BYU offer, Daniels told USports that “Academics are always first” and showed enthusiasm for the interest he was receiving from Cal, Stanford, and Notre Dame. When he was an eighth grader he listed his top three college choices as Miami, USC, and Oregon.